Home > Wholesale ebay hot sale handmade beaded Bracelets, Cheap Bubble Necklaces, Fashion hoops and stud Earrings, sterling silver Beads & Charms at lower prices. 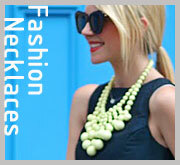 Doodajewelry is online store of DoodaJewelry Firm. It is a professional online wholesaler of various quality bubble necklaces, Handmade beaded bracelets, Handmade necklaces, tresorbead style bracelets, tresorbead style pave ball crystal stud earrings, european style beads and fashion charm jewelry for you. 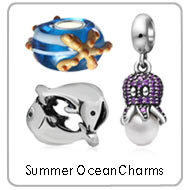 Our product range including Handmade bracelets, sterling silver bubble necklaces, glass bubble necklaces, Handmade necklaces, 925 sterling silver european style beads, Silver plating alloy metal beads, european style glass beads, silver fashion jewelry, silver fashion charms, Fashion alloy charms, Fashion alloy Jewelry etc totally over 5,000 different beads and charms and jewelry and listing new designs weekly. We supply our products to worldwide clients of North America, Western Europe, Eastern Europe, Australia, Oceania, Southeast Asia etc for over 5 years. The competitive price, high quality products and satisfactions services are the first goals of ours. 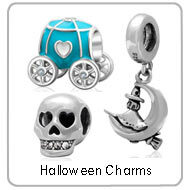 Please note: that many of european style beads and charms with 4.5mm large hole compatible the mentioned brands. 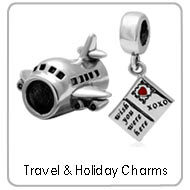 they are not original branded items as reflected in the price, but they are genuine 925 sterling silver for silver charm jewelry. 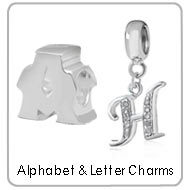 I do not intend to pass these charms off as original branded items. 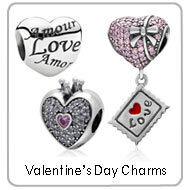 They are high quality charms at a much more affordable price. 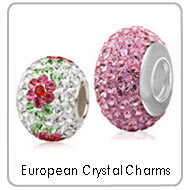 Some of European style charm beads, Handmade beaded bracelets and necklaces were made with cheap material such as imitation stones, alloy crystal disco ball beads with nylon cord etc, these bead jewelry wholesale at very lower prices.We supply unique designs, excellent quality approved beads at competitive prices, quick delivery, small order acceptable, we would like do drop ship for you. 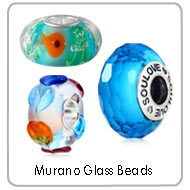 We main export the various beads to professional wholesalers and retailers, online stores, ebay power sellers, traditional store owners and so on. Doodajewelry guarantees that our products will be of the highest quality available directly from factory, made of high grade materials and high handicraft. 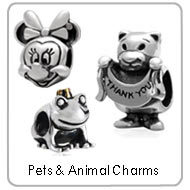 We work side by side with accredited and licensed OEM manufacturer to produce the high-handicraft beads, charms, bracelet, bangle, neckace, pendant, Ring, Earring etc Jewelry accessories. And it is important to us to present the best quality to our customers. Based on feedbacks from our buyers worldwide, we make every attempt to increase our customer satisfaction 100%. Doodajewelry guarantees that our prices are the lowest you'll find anywhere online, you'll know you're receiving the best deals available on thousands of quality products. 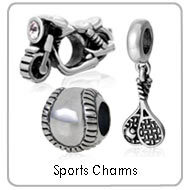 Doodajewelry is a professional factory to supply Handmade beaded bracelets, european style beads and european style charms to you, so you may save money via local Retailer. We ship the goods directly to your door. Cutting out the middleman allows us to dramatically reduce the cost of our custom products. 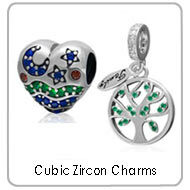 The foundation of our business is built on superior customer service and providing great prices. We treat every single customer as a VIP customer. We are dedicated to creating and upholding a new standard for online customer service. Online purchasing is very popular now. The only way to keep our customers happy is by offering exceptional service, Provide a safe and pleasant shopping experience and offer the best products at the best prices. 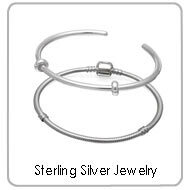 When you buy from Doodajewelry.com, you can be confident that you paid the lowest possible price the first time. We have searched the web and continually search the web for pricing from competitors, if you find a site with better customer service and pricing please let us know. Unlike many internet companies that drop ship and do not inventory any products, Doodajewelry stocks all the components necessary to manufacturer and ships your package from the same location. This enables us to ship your goods within 24 business hours if the goods in stock, and it can be shipped out to you in 7~15 days if you the goods no stock. All goods will arrive to you with in 3-7 days by TNT, DHL, Fedex, EMS etc. Just stay tune. 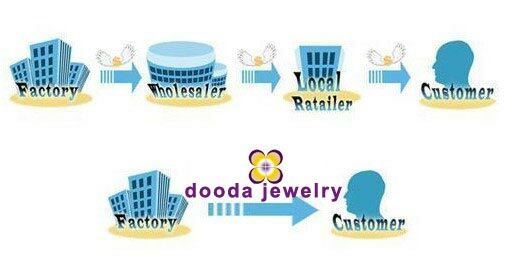 Doodajewelry guarantees to deliver all products at your door promptly and safely as promised. 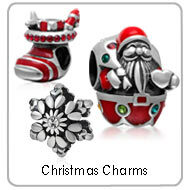 All packages will be stated as samples or gifts to avoid import taxes. If your goods are lost during the shipment phase, we take full responsibility and will reship your goods on our expense. But if the parcel is lost due to the incorrect information from you, you should be responsible for all the loss. Doodajewelry guarantees full support 24 hours a day and 7 days a week by our highly motivated and professional team members. We work for the best of our customers needs and satisfactions at all times. 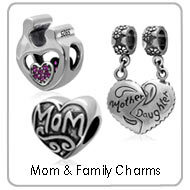 Place an order today and enjoy the Doodajewelry shopping experience! 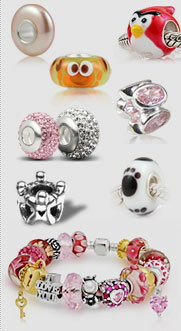 Hello, A friend of mine recently purchased the Pandora beads from you. He had a great experience and forwarded me your web page. I buy on ebay and other places. I'm going to start looking at your place from now on. I do understand you are doing your best to make things right and you are doing it. I also want to let you know that I appreciate everything you are doing. So often you find companies that once the sell its made, they don't really care about the costumer. This is not the case with you guys. Thank you so much for caring and having such a high level of integrity as a company. Thank you for your assistance, the order arrived yesterday. I am very pleased with the product. I have sent the money via paypal. When can you ship? Next order I will place a big order. The other supplier quoted me .50 on very similar styles, but I like your quick customer service. Quick delivery, Very Well Pleased. Very fast delivery, item as described, highly delighted, will buy again! Thanks, excellent item, easy purchase. well recommended seller, fast shipping. A+ thank you. item arrived as described i'm a happy bunny!!!!! Fantastic, Best I've come across. lovely figure, good communication, well packed; many thanks. super fast shipping, 110% satisfied!